Bausch & Lomb have been in business since 1853, and today are one of the world’s biggest and best respected contact lens companies in all of Canada. 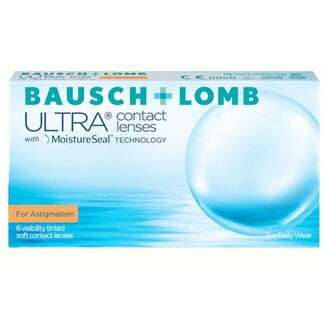 The best selling Bausch & Lomb brands at ContactsForLess.ca include Pure Vision, SofLens, BioTrue, and Optima contact lenses. In fact this renowned contact lens company is always innovating new lenses, so stay tuned for new BioTrue contact lenses to be released. Remember that when you buy contact lenses online in Canada with us, we give away 51% of our profits to the non-profit that you choose. So you save money on Contacts and help save the planet at the same time. Canada, you make huge savings by buying contact lenses online from ContactsForLess.ca rather than from your local optician or optometrist. Save yourself some time and money by ordering your Bausch & Lomb contact lenses online with us at Contactsforless.ca – and have them delivered straight to your door.